When the Wind Blows (video). When the Wind Blows (extended mix). When the Wind Blows (film). The decisions made by the powers that be will get to us in the end. Jim Bloggs, in Raymond Briggs’ When the Wind Blows. Bowie’s last Eighties soundtrack song was for Jimmy Murakami’s adaptation of When the Wind Blows, a graphic novel by Raymond Briggs. In its various incarnations (it was also adapted as a play and as a radio broadcast), Wind Blows is a haunting artifact of the late Cold War. (While the film debuted in January 1987, when Gorbachev was in power and the first signs of thaw were visible, Briggs’ novel, published in 1982, is the child of the more fraught turn-of-the-decade (see “Fantastic Voyage”)). Recorded around the time of the Chernobyl nuclear accident in late April 1986,*”Wind Blows” was intended to be one of several songs that Bowie would cut for Murakami’s film (Bowie had first worked with Murakami and Briggs on The Snowman, for which he had shot an introduction). However, under pressure from EMI and feeling the need to focus on his own record, Bowie pulled back from the project, with Roger Waters asked to fill in. Briggs, born in Wimbledon in 1934, was, like Bowie, a lower-middle-class London suburbanite. While Briggs’ mother had been in service and his father was a milkman, he was able to attend art college; in his case, the Slade School of Fine Art in the late Fifties. Briggs became a freelance illustrator and cartoonist, first known as a children’s author, writing such perennials as Father Christmas (1973) and The Snowman (1978). Briggs had always tended towards the tragic and the grotesque: he was part of a bilious generation of British illustrators, like Ralph Steadman, the chronicler of Fear and Loathing in Las Vegas, and Gerald Scarfe, who drew the cartoons for Pink Floyd’s The Wall. The Snowman offers that the magic of childhood can be seemingly over in a night; his Father Christmas is a grumbling sot, while his Fungus the Bogeyman is a repellent troll conscripted into serving as a monster. But Thatcher radicalized Briggs. A man of few political interests, Briggs felt compelled to join the CND after doing research on nuclear war for When the Wind Blows, while his 1984 The Tin Pot Foreign General and the Old Iron Woman was a flat-out screed against the Falklands War, with both Thatcher and the Argentine Junta depicted as murderous automatons. What makes Wind Blows so compelling is its suburban sensibility, its quiet and steady annihilation of everything that allegedly symbolized middle-class England. It documents how radical and anti-human the Cold War, with its mutual death pacts and its militarization of nature itself, truly was. Bowie caught this feeling in his theme song, with his lyric using images and phrases associated with comfort and calm—childhood lullabies and nature—and making them ominous. The chorus is simply a repetition of “when the wind blows,” which Bowie sings lovingly but coldly, as it’s now a death sentence, the wind bringing fallout with it. It has one of Bowie’s most memorable vocal melodies of the era, especially in the verses, which have a trace of Vera Lynn’s “We’ll Meet Again” in them (in the book, it’s the song that Jim Bloggs murmurs as he’s dying). “Wind Blows” was co-written by Erdal Kizilcay, who played all of the instruments on the track: the synthesizer accompaniment is fine, though the zippy opening guitar riff seems a bit out of place, a bit of showboating at a funeral. Bowie found Kizilcay to be an ideal partner when writing about London suburbia, as the two would reunite for The Buddha of Suburbia a few years later. Recorded ca. April 1986, Mountain Studios, Montreux, Switzerland. Released in November 1986 as a single (Virgin VS 909, #44 UK) and on the When the Wind Blows OST. Later collected on a 1995 CD reissue of Never Let Me Down and issued as a digital EP (with the extended mix and an instrumental version) in 2007. * Bowie has said he was recording at Mountain Studios when news of the Chernobyl disaster hit on 26 April 1986 (the experience led him to write “Time Will Crawl”). This could have been during the Blah-Blah-Blah sessions, but consensus has much of that album being cut in May. So this means Bowie was either working on Never Let Me Down demos or on this track, so poetic license makes “Wind Blows” the obvious choice. ** Wind Blows can seem like a thematic sequel to Watership Down, except that the rabbits were far craftier, with Fiver and the rest getting the hell out of the warren before the slaughter began. 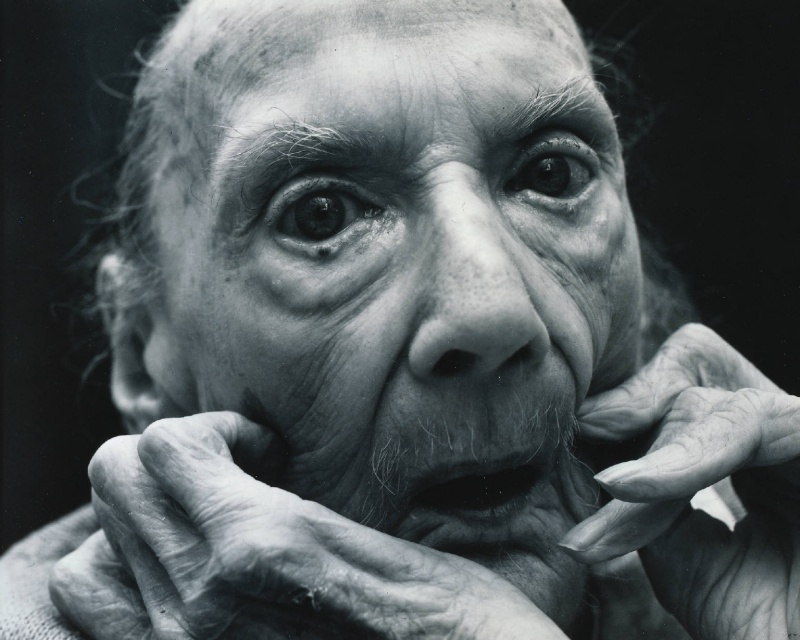 Top: Nicholas Nixon, “M.A.E., Boston,” 1985.